Most wine production in New Zealand is dominated by a very small number of large producers under international ownership. However, there are many boutique wineries which focus on quality rather than volume production. Until the 1970s, New Zealand’s tiny wine industry was making wine mainly from Muller Thurgau (Germany’s most widely-planted variety) for the local market. Since then (and particularly since the early 2000s), the industry has grown to embrace new varieties and has developed a strong and successful focus on exports. Since first being introduced to Marlborough in 1973, New Zealand Sauvignon Blanc has grown to become a benchmark expression for this variety. 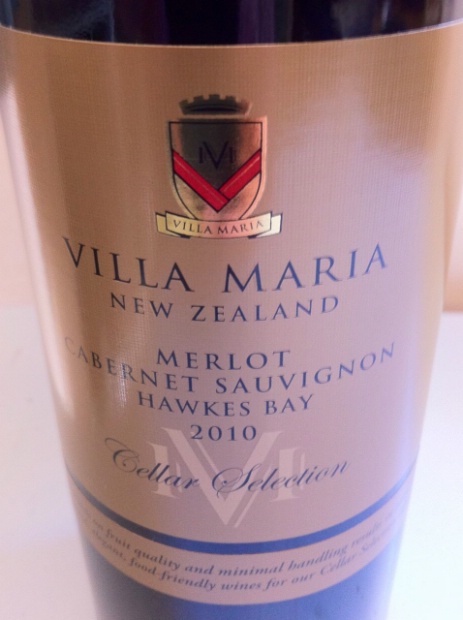 Characteristics include intense aromas or capsicum and gooseberry, as well as possible herbal notes, passion fruit, tomato, a strong minerality and (occasionally) hints of creamy oak. The better wines, which combine intense fruit concentration and high acidity levels, are capable of developing asparagus notes with bottle aging. Because of the risk that New Zealand Sauvignon Blancs sometimes get perceived to be all the same, the industry is promoting stylistic variations of Sav Blanc between and within different regions. Chardonnay, New Zealand’s second-most planted variety, is used to produce wines in a range of styles. Production techniques used include lees-aging, malolactic fermentation and oak-aging. Chardonnay is also used to make sparkling wines. Other white New Zealand wines that are seeing increasing production include Pinot Gris, which has risen dramatically in recent years to overtake Riesling in terms of the volume of plantings. Both Pinot Gris and Riesling are made in a variety of styles which range from dry and off-dry through to sweet wines. 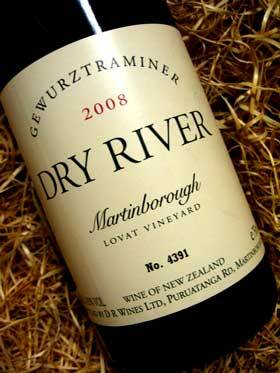 Gewürztraminer from the Hawke’s Bay region is also gaining international recognition. Pinot Noir, New Zealand’s most widely-planted red variety, produces wines which, like Sav Blanc, have been critically acclaimed worldwide. New Zealand is internationally considered to be a source of top quality Pinot Noir. Although various styles of Pinot Noir are made, New Zealand Pinot Noirs typically have concentrated red fruit flavours as well as quite high levels of alcohol because of the intense sunshine the grapes receive during the growing season. Merlot, the other red grape variety with significant plantings, is often blended with Cabernet Sauvignon to make Bordeaux-style blends. Although plantings of Syrah are small, Syrah is used to produce wines which are closer in style to France’s Rhone region than Australia’s hot climate regions. The relative youthfulness of the export-focused wine industry in New Zealand means that it has grown-up with a very modern approach towards winemaking techniques such as temperature control, anaerobic winemaking and the use of screw caps. The Riverland in South Australia, the Murray-Darling in Victoria and the Riverina in New South Wales are the main sources of fruit for Australia's big brands. The Riverina region is Australia's second largest production area, accounting for 15% of total output. Although the climate is generally hot and dry, autumn morning mists and fog can encourage the development of noble rot and botrytised wines made from Semillon are a specialty. The resultant style of wine is similar to that of France's Sauternes. Although the Australian wines are generally sweeter and with low alcohol, they have similar flavours of apricots, marmalade and honey. Australia's signature red wine variety is Shiraz. Hot regions such as the Hunter and Barossa Valleys produce a soft earthy, spicy style of Shiraz which develops leather and caramel notes as it ages. 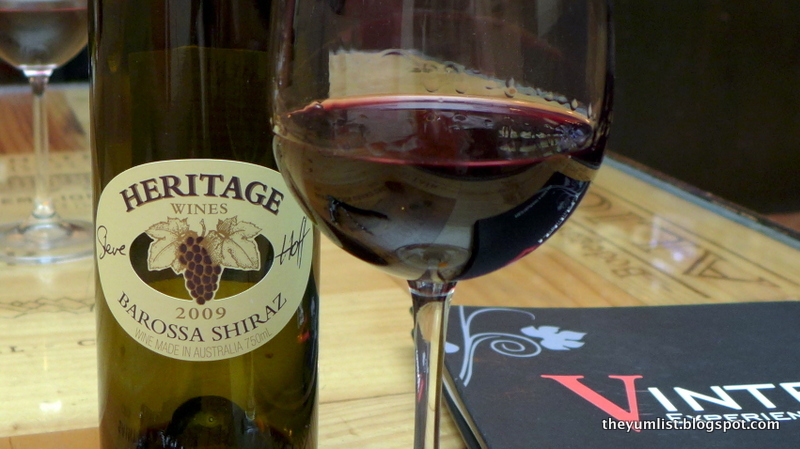 A leaner, more peppery style of Shiraz is made in cooler regions such as Margaret River in Western Australia. Sometimes Shiraz from different regions is combined to produce a multi-regional blended wine. Australian Cabernet Sauvignon is generally darker, with firmer tannins and higher acidity than Australian Shiraz. Classic production regions include Coonawarra and Margaret River. Some Australian winemakers blend Shiraz with Cabernet Sauvignon in order to give softness and body to the blend. Most Australian Chardonnay undergoes some exposure to oak, whether from the use of oak chips, inner staves or cask fermentation and aging. However, it is becoming more common to see unoaked Chardonnays. 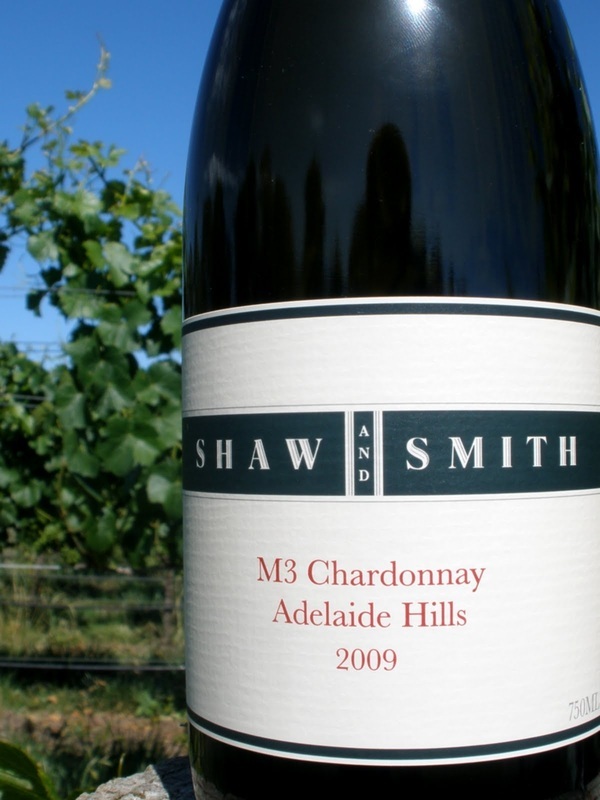 It is also very common to find Chardonnay blended with Semillon. On the one hand, Chardonnay can be stretched further when blended with cheaper Semillon. On the other hand, Semillon can be used to add crisp acidity and herbaceous flavours to the blend. Unoaked, dry Semillons are light-bodied, with low alcohol, high acidity and flavours that are initially quite neutral but which can evolve into a complex melange of toast, nut and honey flavours with bottle aging. In Western Australia, a more herbaceous style of Semillon is produced, which is similar in character to Sauvignon Blanc. 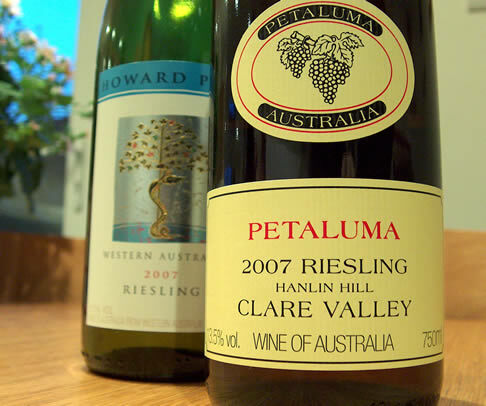 Australian Riesling typically has bold citrus (lime, lemon and grapefruit) flavours, which develop rapidly into toast, honey and petrol notes as the wines age. The wines are unoaked and are usually dry or off-dry, although some sweet wines are also made. Classic production regions are the Claire and Eden Valleys. The Margaret River region in Western Australia has a climate similar to Bordeaux's and, consequently, it is common to find Bordeaux-style blends: reds made from Cabernet Sauvignon and Merlot and whites made from Semillon and Sauvignon Blanc. Washington State is the second-largest producer of wine after California. German and Italian immigrants in the 1860s and 1870s are thought to have been Washington's first winemakers. The start of Prohibition in 1917 resulted in almost all of the state's commercial wineries being shut down. The modern Washington wine industry emerged in the mid-20th century with Chateau Ste Michelle and Columbia Winery – the precursors of the state's biggest wineries – being founded in the 1950s and 1960s. The 1970s, 80s and 90s brought several rounds of expansion to the industry. Although the early Washington wine industry focused mainly on white wines, recent years, led by the “Merlot-craze” of the 1990s shifted the focus of many producers to red wines including Cabernet Sauvignon, Syrah and Cabernet Franc. The production of Chardonnay and Riesling also expanded in the 1990s. Chardonnay and Riesling are the two most widely-produced white wines in Washington. Sauvignon Blanc and Gewürztraminer also feature prominently. Although neighbouring Oregon had wineries as early as the mid-1800s, the Prohibition period subsequently destroyed the early wine industry. However, the 1960s saw a renaissance for Oregon wine, when several Californian producers opened vineyards there. A focus on plantings and production of Pinot Noir helped to establish Oregon as one of the world’s premier Pinot-producing regions. 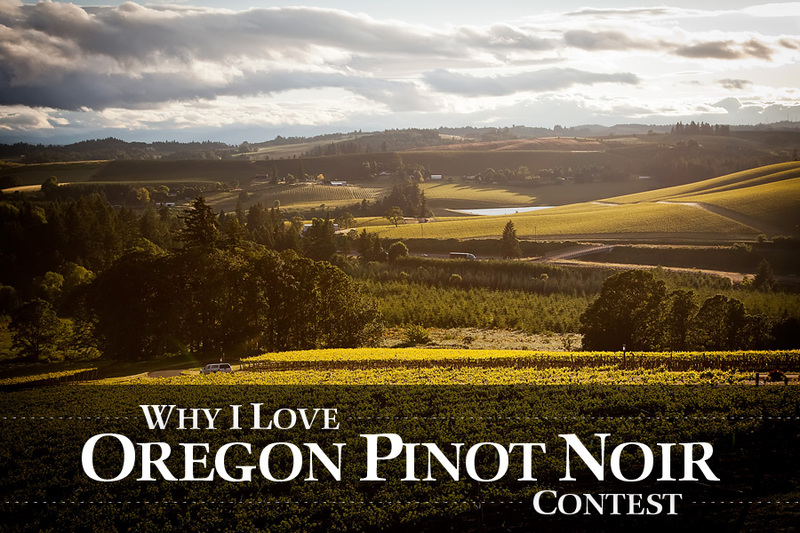 Pinot Noir from Oregon’s Willamette Valley have received particular acclaim. Pinot Noirs from Oregon come in two broad styles. Many are light-bodied and delicate and are therefore described as being “Burgundian”, while others are more structured and full-bodied and are often characterised by the new oak in which the wine is matured. Pinot Noirs made in this latter style are described as being more “Californian”. The Willamette Valley accounts for the majority of Oregon’s wineries and, in addition to producing award-winning Pinot Noir, the region produces large quantities of Pinot Gris, Riesling and Chardonnay. Oregon Pinot Gris wines are typically medium-bodied and are yellow to copper-pink in colour with pear, apple, and/or melon aromas. Since the mid-1980s, Canada’s wine industry has experienced several transformatory trends. These include a growing experimentation with grape varieties, wine styles and production techniques, as well as an influx of new talent and investment, some of it from abroad. Prior to the mid-1980s, wine production was dominated by Ontario – responsible for 90% of output, with British Columbia (BC) accounting for the remainder. Production was also dominated by grapes such as Labrusca, which were tough enough to survive Canada’s harsh winters. In addition, Canada's wine industry was protected from international competition by high tariffs on imported grapes and wines. From the mid-1980s however, Canada’s preparations to sign a free trade deal with the United States, together with the country’s preparations to join the General Agreement on Tariffs and Trade (GATT), led to a realisation that the industry had to change or face potential annihilation by foreign wine imports. As the governments of Ontario and BC subsidised vintners to pull-out low-quality vines, the industry saw the emergence of winemakers who experimented with new grape varieties, plating locations and production techniques. Winemaking techniques which are now widely used throughout Canada’s wine industry include the use of stainless steel tanks for fermentation, oak barrels for wine maturation and processes such as lees stirring (the latter process is sometimes referred to as “battonage”) to give white wines body and character. Experimentation with new grape varieties – including hybrids – has been widespread, and this has prompted debates about the extent to which Canadian winemakers should specialise winemaking wine from regional “signature” grapes, while some argue that the industry lacks focus, others assert that Canadian winemakers don’t need to specialise, but can emphasise their distinctiveness by producing wines which showcase the impact of different regional “terroirs” on existing grape varieties. For example, Prince Edward County in Ontario has gained a reputation for its Chardonnay, while the southern Okanagan region is known for its complex red wines made from Syrah and the Bordeaux grape varieties (Cabernet Sauvignon, Merlot, Cabernet Franc, Petit Verdot and Malbec). By contract, other parts of BC are known for wines produced from Alsatian varietals such as Pinot Gris, Pinot Blanc, Riesling and Gewürztraminer, as well as Austrian varieties such as Zweigelt and Blaufränkisch, German varieties such as Kerner, Ortega and Bacchus, and hybrids such as Baco Noir and Maréchal Foch. Winemakers in the Niagara peninsula have gained a reputation for both chardonnay and other burgundy varieties such as Pinot Noir and Gamay Noir. These grapes are also being used to make excellent wines in BC. Meanwhile, both Nova Scotia and BC wineries are gaining an international reputation for their sparkling wines. Finally, Canada maintains an international reputation for its ice wine, which is made from grapes (often Vidal Blanc or Riesling) that are picked and crushed while frozen. 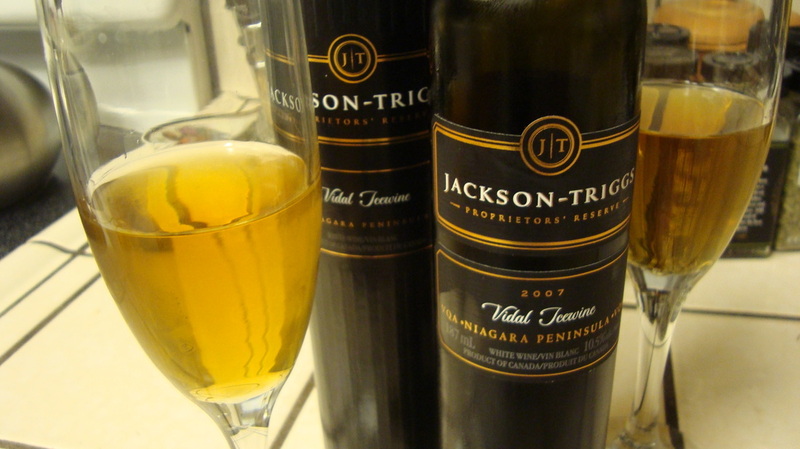 Increasingly, Canadian winemakers are also experimenting with other sweet and fortified wines, including Late Harvest and Noble Late Harvest wines. Winemaking in California dates back to the 18th century when Spanish missionaries first planted vineyards to support the production of sacramental wine. The 19th century Gold Rush brought new settlers and increased local demand for wine, leading to the expansion of wine production centred on the counties of Napa and Sonoma. The industry experienced rapid growth by the beginning of the 20th century, 300 different grape varieties in California, supplying almost 800 wineries. However, the introduction of Prohibition between 1919 and 1933 saw the number of wineries fall to just 140. Those that survived did so by specialising in the production of sacramental wine for churches. From the 1960s, California's wine industry experienced a renaissance, with explosive growth in quantity and quality wine production accompanied by massive investment, the adoption of new winemaking techniques and experimentation with grape varieties and wine styles. Today, California has over 1,200 wineries, which range from large conglomerates such as E & J Gallo and Robert Mondavi, which produce millions of case a year, through to small boutique wineries, often specialising in the varietal wines or "Meritage" (Bordeaux-style) blends (see top picture). Chardonnay is one of California's most widely-produced white wines. Throughout the state, there is a huge variation of production styles: inexpensive, high-volume wines from the Central Valley tend to be fruit-focused, with lower acidity. In the past, Californian Chardonnay had a reputation for being very full-bodied, high in alcohol and low in acidity, with obvious flavours of oak, hazelnut and butter underpinning exotic peach and banana fruit flavours. Today there is a wide variety of premium Chardonnay being produced. Although Merlot was once very fashionable and the market was full of cheap examples with soft tannins and little varietal character. Better Merlot is now being produced in cooler vineyard locations such as Monterey and the north coast regions, especially Napa. These deeply coloured wines have soft, velvety tannins and are full-bodied with high alcohol and classic varietal flavours of blackberry and plum. Cooler regions such as Russian River Valley, Carneros and Santa Barbara also produce excellent Pinot Noir. Styles range widely: some are light in colour with classic gamey and vegetal notes, although most show rich layers of ripe red fruit flavours (red cherry, strawberries). Although the Central Valley is too warm to make Sauvignon Blanc in the modern crisp aromatic style, California's coastal regions produce a range of styles, from affordable, aromatic Sav Blancs to rich, oak-aged premium wines that are inspired by the premium dry white wines of Bordeaux. Fumé Blanc normally indicates an oaked style of Sauvignon Blanc, although some are unoaked. See the Drinking section of the Drake Vine for more information about Californian Zinfandel and Cabernet Sauvignon. Since the early 1990s Chilean winemaking has been transformed by a massive increase in foreign investment and by the arrival of new winemaking talent and technology. Financial investment has come in the form of European and American winemakers who have established their own wineries in Chile, or who have launched joint ventures with local producers. Examples of collaboration between international producers and local wineries include Seña wine, a collaborative venture between Viña Errázuriz and California’s Robert Mondavi, and Almaviva, a partnership between Concha y Toro Winery and France’s Château Mouton Rothschild. During its recent renaissance, Chilean winemaking has benefited from the application of a range of new technologies, including the use of stainless steel tanks and oak barrels for wine maturation. Both French and American oak is used. Among the great success stories of Chilean wine are reds such as Cabernet Sauvignon and Carménère and whites such as Sauvignon Blanc and Chardonnay. 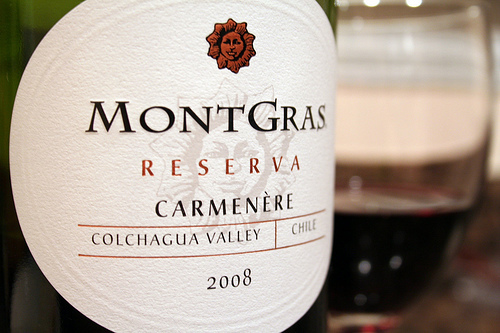 Chilean winemakers produce Cabernet Sauvignon in a variety of styles, from simple and fruity to full-bodied premium wines with soft tannins and flavours of mint, blackcurrant, olives and smoke. Cab Sav is frequently blended with Carménère, Merlot and Syrah. 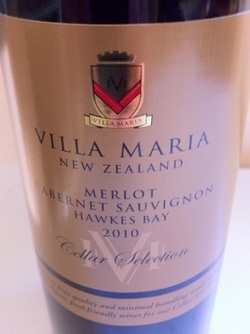 Inexpensive medium-bodied and fruit-driven Merlot has been very successful on export markets. 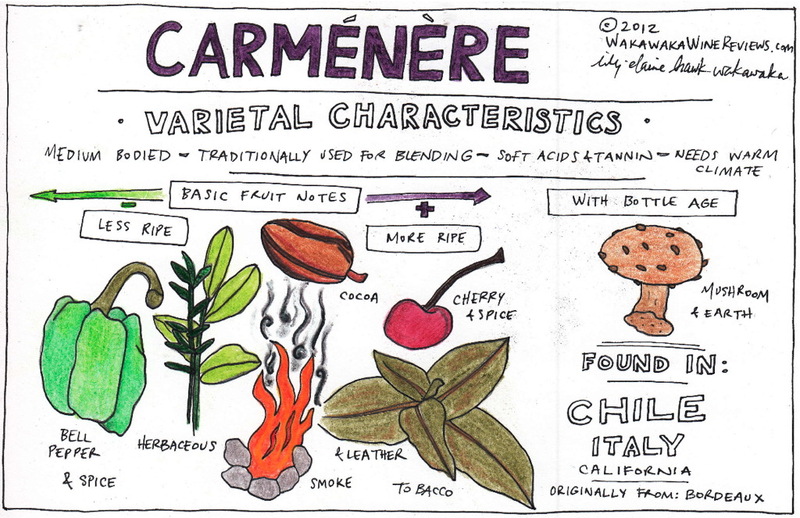 Although Carménère is often blended with other grapes such as Cab Sav, Merlot and Syrah some producers are making standalone versions. Chilean Sauvignon Blanc (Sav Blanc) has benefited from the development of new, cooler vineyard sites in places such as Casablanca and San Antonio. The coastal vineyards are now yielding excellent fruity Sauvignons. Producers generally try to avoid excessive herbaceousness and the result is that some wines have higher alcohol as well as riper fruit. Chileans Chardonnay is less distinctive, following the stereotypical New World style with ripe fruit and oak flavours. In cooler regions, including San Antonio and Bio-Bio, Pinot Noir is showing considerable promise. Winemakers in the Bio-Bio region are also producing small but growing quantities of Gewürztraminer, Viognier and Riesling. Plantings in Bio-Bio are currently dominated by País and Muscat of Alexandria. Although País is still mostly used for producing cheap domestic rosé, some producers are reportedly trying to coax the best out of old País vineyards in Maule, using carbonic maceration to tame the potentially astringent tannins and highlight the fruit. Wine making in Argentina continues to change at a rapid pace, both with regard to methods of production and experimentation with different grape varieties. Throughout the industry, there has been an emphasis on improved quality, as producers rely less on bulk wines for the local market and focus on international demand for high-quality wines, especially Malbec. A combination of high-yielding vineyards, low labour costs and good growing conditions give producers access to large quantities of ripe, healthily fruit at low cost. Compared with other New World producers, Argentina's wines are competitively priced, although a growing number fetch premium prices. Although many of Argentina's best wines are now coming from new high-altitude vineyards where cooler temperatures allow producers to control yields and produce wines with greater finesse, much of the country's quality come from old low-yielding vineyards. These are increasingly being viewed as one of Argentina's most valuable selling points. In recent years Argentinean wine making has also benefited from considerable investment in new technology and techniques. Most modern wineries are now fully-equipped with stainless steel tanks that enable temperature-controlled fermentation. The use of oak barriques for premium wine maturation is also now widespread, although some producers still age wines the traditional way using large old oak casks. Despite the growing importance of single varietal Malbec wines, it is common for Malbec to be blended with Cabernet Sauvignon, Merlot and Petit Verdot. Other red grape varieties tha are produced both as mono-varietal wines or as blends include Syrah, Pinot Noir, Barbera, Sangiovese and Tempranillo. Wine produced from Argentina’s second most-widely planted red grape variety, Bonarda, is receiving growing recognition, thanks to increased vineyard investment and considerable improvements in quality. Some producers in Mendoza have begun to seriously market Bonarda and some believe Bonarda wines have potential to emerge as a unique selling point for Argentina in the future. Along with Malbec and Malbec blends, Argentina's largest wine-producing region, Mendoza, has gained a growing reputation for its Chardonnay, some of which sells at premium prices. However, it is it Torrontés which appears to have emerged as Argentina's signature white grape variety. Because of its delicate aromas, Torrontés needs gentle-handling during the wine-making process. After Mendoza, San Juan is Argentina's largest wine producing region. In addition to premium wines from Syrah and Douce Noir (the local name for Bonarda), San Juan has a history of making Sherry-style wines, as well as Brandy and Vermouth. In addition to still and fortified wine production, Argentina has a long tradition of making sparkling wines, many of them made using the traditional method. An important milestone for the industry was the arrival of Moet et Chandon in the 1950s. Since the end of Apartheid and the opening up of world markets in the 1990s, South Africa’s wine industry has experienced a renaissance. This has been characterised partly by the adoption of new viticultural techniques and winemaking technologies. These include the use of yield control to improve grape ripeness and the use of temperature controlled fermentation and malolactic fermentation to produce softer and fresher wines. In addition, the industry has benefited from international investment and the introduction of new grape varieties. Wines are produced in a diverse range of styles including single varietal wines such as Sauvignon Blanc, Chardonnay, Cabernet Sauvignon and Pinotage, and a wide range of red and white blends. In Stellenbosch, Franschhoek and other regions, winemakers have established a tradition of producing high-quality Bordeaux-style red blends from Cabernet Sauvignon, Merlot and Cabernet Franc. 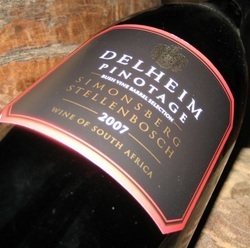 Some winemakers have developed a specialisation in “Cape Blends”, a red wine blend which typically includes 30% to 70% Pinotage within the blend. Adding to the range of wine styles is the growing use of oak barrels for wine maturation. A mixture of America and French, old and new oak is used. In addition to still wines, sparkling wines are made using different methods, including the traditional “Champagne method”. Although made using the same method as Champagne, the 1935 "Crayfish Agreement" with France means that South African producers cannot use the Champagne label and instead label their wines as Method Cap Classique (MCC). The grapes used in MCC production include Chenin Blanc and Sauvignon Blanc, as well as the traditional Champagne grapes Chardonnay, Pinot Noir and Pinor Meunier. South Africa’s wine industry also has a long tradition of producing fortified wines, including Port and Sherry-style wines and fortified sweet wines made from Muscat Blanc à Petits Grains (known in South Africa as Muscat de Frontignan or simply Muscadel) and Muscat of Alexandria (Hanepoot in South Africa). Although Port and Sherry-style wines are made from the same grapes that are used to make Sherry in Spain and Port in Portugal, regulations mean that they are labelled differently. In the case of Port-style wines, the word “Cape” is used followed by an indication of the wine’s style (e.g. “Tawny”, “Ruby”, “Late Bottled Vintage” etc.). A similar labelling system is used for Sherry-style wines (e.g. "Cape Pale Dry", "Cape Full Cream" etc.). A diverse range of non-fortified sweet wines are also made, including, Botrytis-affected Noble Late Harvest, Special Late Harvest and straw wines (wines made from grapes are laid out on straw mats and allowed to dry in the sun). 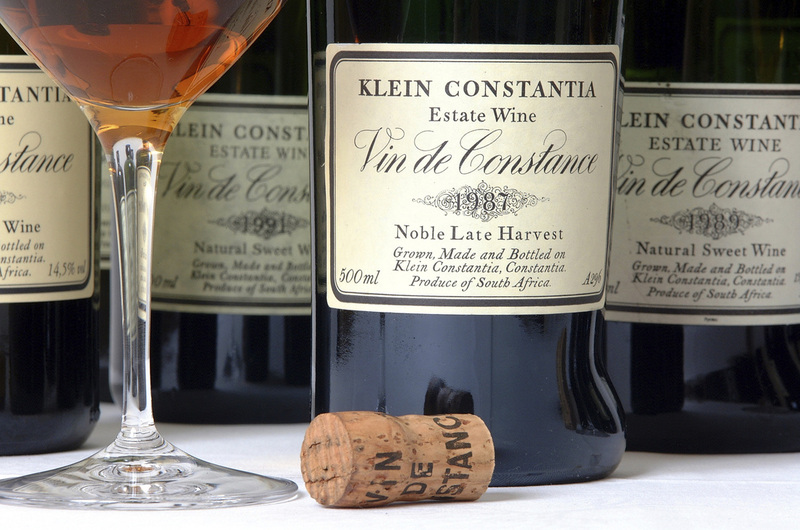 Muscadel grapes are also used to make Vin de Constance. This "naturally sweet wine" is made from grapes that are allowed to ripen on the vines until they were almost like raisins and as sweet as honey. The late-harvested grapes are then carefully hand-selected. In addition to still, sparkling, sweet and fortified wines, South Africa has a rich history of brandy making. Both the pot still and column still methods of distillation are used and, by law, all South African brandies must include at least 30% pot still distillates in their blend and must have been aged for a minimum of three years. 90% of the grapes used for brandy production are from the Colombard and Chenin Blanc varieties. French oak is typically used for maturation. Italian winemaking has experienced a revolution over the past 20 years. This is partly due to European Union (EU) grants which have allowed even the most modest of cooperatives to introduce stainless steel and temperature control for white wines and the growing use of smaller oak barriques for red wine. Highly tannic red grape varieties such as Nebbiolo have also benefited from shorter maceration periods and the use of rotary fermenters. Despite these innovations, the use of large casks (botte) made from Slavonian oak still prevail in Tuscany, Piedmont and Campania for traditional DOCG (Denominazione di Origine Controllata e Garantita) wines with lengthy minimum aging requirements. In Tuscany, Sangiovese grapes are used to produce a wide variety of wines, including Chianti, which varies hugely in terms of quality and style and which permits up to 20% of other varieties in the blend. The best examples of Chianti are said to come from Chianti Classico DOCG which lies between the cities of Florence and Siena. Other Sangiovese-based wines produced in Tuscany include the fashionable and highly-priced Brunello di Montalcino. Regulations for Brunello dispute a minimum aging of five years, the longest in Italy (in ideal vintages they can age for upwards of twenty years). Meanwhile, Vino Noble di Montepulciano is produced around the town of Montepulciano. It matures more quickly but lacks the finesse of Brunello. The “Super Tuscans” are wines based on various combinations of Sangiovese, Cabernet Sauvignon, Merlot and Syrah. Italy’s second major red wine, Valpolicella, is produced in Veneto from Corvina grapes with other varieties such as Rondinella and Molinara included in the blend. Basic Valpolicella is light, fruity and best drunk young. Overproduction is still widespread in many of the vineyards situated on the hot, fertile Po plain; better vineyards are found in Valpolicella Classico DOC zone and in the Illasi valley. This is the home of Italy’s passito tradition and it is common for a portion of the grapes to be used to make the full-bodied intensely flavoured Amarone della Valpolicella. Bardolino is similar to Valpolicella, but is made from grapes grown between Verona and Lake Garda. In Piedmont, where Nebbiolo grapes are used to make Barolo and Barbaresco wines, minimum aging requirements (including oak aging) are enshrined in law. Barolo wines must be aged for a minimum of three years before release, of which 18 months must be in oak. Barolo Riservas must be aged for a minimum of five years, although the minimum time in oak is the same. Historically, Barolo was aged for even longer but there is a trend towards shorter aging and traditional botte are gradually being replaced with barriques. Neighbouring Barbaresco DOCG produces Nebbiolo that once lacked the complexity of Barolo although such differences are said to be insignificant today. Whereas Tuscany is predominantly a producer of red wines, northern Italy is an important source of white wines, which include mass-produced Pinot Grigio from Trentino to Gavi, made from Cortese grapes in Piemonte, and Soave wines, produced from Garganega grapes in Veneto. Further south, Italian white wines of note include Frascati, which is made from Malvasia and Trebbiano grapes to the south of Rome. Trebbiano-based wines are produced in several regions, including Abruzzo, Umbria and Emilia-Romagnia. In southern Italy, key red wines include Puglia’s Primitivo, Sicily’s Nero d’Avola and Taurasi (“Barolo of the south”), which is produced in Campania from Aglianico grapes. Taurasi must be aged for three years before release. In contrast to Nebbiolo, Aglianico is said to respond well to aging in new oak. White wines from southern Italy include Sicily's waxy whites made from Catarratto grapes and white wine blends made from international varieties such as Chardonnay and Sauvignon Blanc. Fortified sweet port wines account for the majority of all wines produced in the Douro region. Although port wines continue to overshadow dry red wines, these latter wines have been produced in the Douro for centuries. They are made from the same grapes that are used to make port, grapes such as Touriga Nacional, Touriga Franca and Tinta Roriz (known as Tempranillo in Spain). The style of dry Douro reds has changed greatly over the past decade. When at their best, these wines are deeply-coloured and full-bodied, with complex flavours and high tannins. Although single variety reds are produced from grapes such as Touriga Nacional, dry red wines from the Douro, Dão, Bairrada and other Portuguese regions typically involve a blend of grape varieties. Although Clássico wines produced in Bairrada must contain at least 50% Baga, other constituent varieties include Alfrocheiro, Camarate and Castelão. Portugal also has a well-established tradition of producing white wine blends. The classic white wines of Vinho Verde (meaning “green wine”) are pale lemon coloured, high in acidity and low in alcohol (8.5% to 11.5% abv). Vinho Verde wines made from local grape varieties such as Loureiro, Arinto (locally known as Pedernã), Trajadura, Avesso and Azal traditionally have a slightly sparkling character which reinforces the wine’s flavours and freshness. These white Vinho Verde wines are either dry or medium-dry in style. White wine blends made from grapes grown in warmer and sunnier Portuguese regions have a different character. 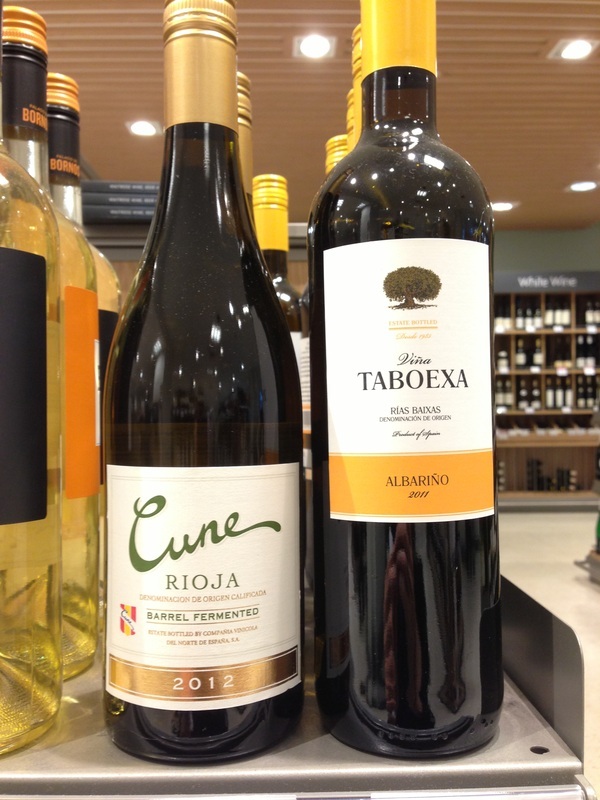 For example, wines from the Alentejo region in south-east Portugal are typically higher in alcohol, fuller-bodied and richer in texture than those of the north. Arinto, Antão Vaz and Roupeiro make intense honeyed white wines with good levels of acidity lifted by the aromatic Arinto. Some more ambitious wines are fermented or aged in oak to provide extra depth and complexity. Alentejo and the region of south-eastern Portugal have grown to become a major wine production region over the past two decades. Here is more common to find some wines made from international varieties such as Cabernet Sauvignon and Chardonnay, as well as local ones. The continental climate of cold winters and hot summers results in wines that are rich and powerful. To a certain extent, Spanish wine styles and winemaking processes vary considerably across different regions. In Rioja the tendency is to specialise in making red blends from several different grapes. Even within Rioja a range wine styles and blending configurations exist. However, the two most widely-planted grapes – and those which feature in many Rioja wines – are Tempranillo and Garnacha. Around 75% of the wines made in Rioja are red, with around 15% being rosé and 10% white (both often made from Garnacha). Neighbouring Navarra also tends to specialise in red blends, with the dominant grape Tempranillo being combined with other local or international varieties such as Cabernet Sauvignon and Merlot. Regions that are renowned for making single variety wines include Ribera del Duero (red wines made from Tempranillo) and Rias Baixas and Rueda (white wines made from Albariño and Verdejo respectively). Jumilla, to the south of Valencia, there is a tradition of making standalone Monastrell wines, as well as blends involving Monastrell and international varieties such as Syrah. Meanwhile, in Catalunya, a very wide range of wine styles are produced, including Garnacha-Cariñena blends in Priorat and Cava in Penedès. In recent years, Penedès has also seen the widespread planting by the influential Torres conglomerate of international grape varieties such as Chardonnay, Riesling, Cabernet Sauvignon and Pinor Noir. With the exception of North West Spain, heat and lack of water are the biggest challenges for grape growers. These conditions put a heavy stress on vines, although the widespread use of irrigation helps to alleviate this. Another important feature of Spanish winemaking is the process of aging wine, at least partially in oak barrels. Although American oak has traditionally been used in Spain, there is a growing tendency to use French oak. 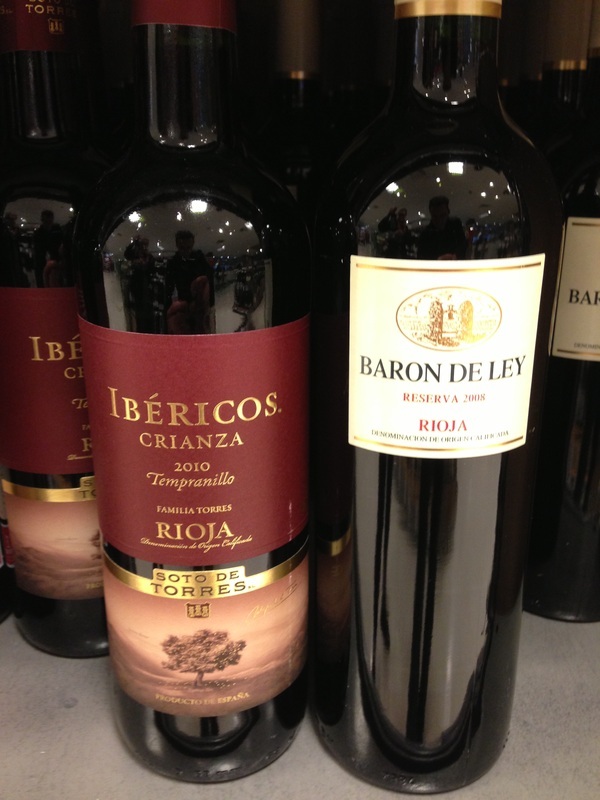 The method and length of the aging process is determined by legislation and is displayed on bottle labels by the terms such as Crianza, Reserva and Gran Reserva (see box below). Although Germany has a reputation for sweet wines, it is “trocken” or dry wines that are most-widely drunk domestically. Bottle labels will often state whether a wine is trocken (containing between 4 and 9 grams of sugar per litre) or “halbtrocken” (off-dry, containing between 12 and 18 grams of sugar per litre). Wines that are sweet (Süβ/edelsüβ) or semi-sweet (lieblich) don’t always (and often don’t) carry these designations on the bottle label. Therefore, if a bottle label doesn’t carry a trocken or halbtrocken designations on, then the chances are the wine will be sweet or semi-sweet. Deutscher wein – also referred to as landwein or tafelwein (table wine), these wines are light, neutral, inexpensive wines. These account for less than 5% of total production in Germany. Qualitätswein bestimmter Anbaugebiete (QbA) – these are quality wines made from grapes grown exclusively in one of 13 regions. The region must be shown on the label. 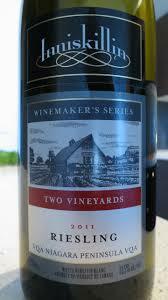 Although QbA is an indication of quality, these wines are mostly inexpensive easy drinking wines. A process called “chaptalization” is widely used. This involves adding sugar to the unfermented grape juice to increase the final alcohol level (this doesn’t affect sweetness). QbA wine styles range from dry to semi-sweet. Kabinett: wines made from fully ripened grapes picked during the main harvest. Wines can be dry through to semi-sweet. However, they are typically light with high acidity and green apple or citrus flavours. Spätlese (“late harvest”): wines made from grapes picked at least seven days after the normal harvest. This makes them riper with more concentrated fruit flavours. Although they can be dry, Spätlese wines are typically semi-sweet. Auslese (“select harvest”): wines made from individually selected extra-ripe bunches of grapes. Wines are typically sweet or semi-sweet and sometimes have a botrytis (noble rot) character. Beerenauslese (“select berry harvest”): wines made from overripe grapes that are individually selected from bunches often affected by noble rot. Wines are made in a rich, sweet style. Eiswein (“ice wine”): wine made from grapes that are picked when frozen. Harvest often takes place on winter nights when the temperature is at least 8 degrees below zero. The grapes are pressed when frozen, resulting in a highly concentred must with high sugar and acidity levels. Trockenbeerenauslese: sweet wines that are produced in tiny quantities, in only the best vintages from individual grapes that have been shrivelled by noble rot. Unlike Bordeaux, which has a tradition of makings from a blend of different grapes, Burgundy typically produces wines made from a single grape variety (typically Chardonnay, for white wines, for Pinot Noir, for reds). However, within different parts of the region, the styles range considerably. For example, in northern Chablis, Chardonnays produced and sold under the Chablis label (see pic) tend to be steely, crisp, unoaked and with a high level of acidity. Although basic Chablis can be austere with green fruit (apple and greengage) characteristics, higher quality varieties have riper citrus and more stony or smoky flavours. Further south, Chardonnays from the Côte d’Or (described as the “viticultural heartland of Burgundy”) are often highly complex and expressive. 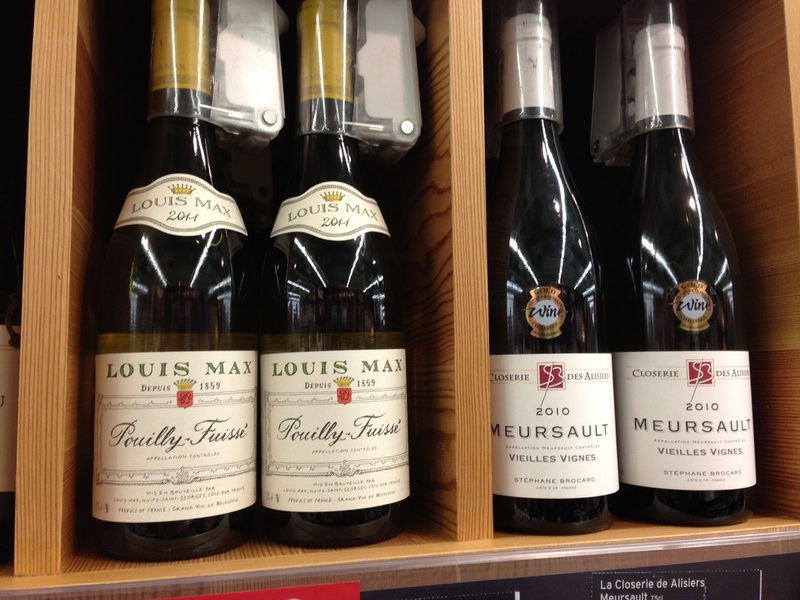 Villages which have gained a reputation for producing high-quality Chardonnays include Meursault and Puligny-Montrachet (as is typical in France wines from these villages will be bottled under the village label). Low grape yields and excellent conditions of soil, drainage and sun exposure contribute to wines that are intensively flavoured. Fermentation and maturation in new French oak barrels gives the wines additional body, as well as wood tannins and toast or vanilla flavours. Further south still in the Mâconnais district, Chardonnays are produced in a full-bodied style and with softer, riper fruit characteristics (e.g. Mâcon-Villages and Pouilly-Fuissé). Meanwhile, similar differences of style characterises Pinot Noirs from different parts of Burgundy. 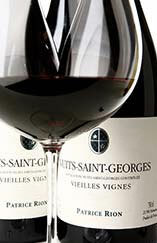 In the Côte de Nuits region, villages such as Gevrey-Chambertin and Nuits-Saint-Georges are internationally famous for producing full-bodied reds. In the Côte de Beaune district, lighter-bodied reds are made. Here the most important villages include Beaune and Pommard, as well as Meursault and Puligny-Montrachet. Further south in Beaujolais, wines are produced using a technique called “carbonic maceration”. This ensures that colours and fruit flavours are extracted from the Gamay grapes, with very little tannins being added to the wine. Gamay is used to make fragrant wines that are low in tannins and packed with raspberry and cherry flavours. 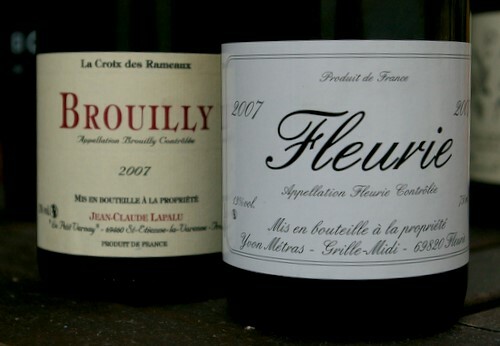 Villages famous for the production of high-quality Beaujolais (Gamay) include Fleurie and Brouilly (see pic). The Loire Valley vineyards produce an average of 3 million hectolitres or wine annually, making it France’s third-largest wine producing region after Bordeaux and the Rhone Valley. White still wines made predominantly from Sauvignon Blanc, Chenin Blanc and Melon Blanc (Muscadet) grapes account for around 52% of all wine produced. The remainder of the region’s wine production is split roughly between red wine (26%), rose (16%) and sparkling wines (6%). The Loire Valley has a reputation for producing wines that are light-bodied, fresh and with simple fruit flavours. Some regions however, have a reputation for making high-quality wines, including Sancerre, which is notable for producing dry white wines with high acidity from Sauvignon Blanc grapes. Most modern Sancerre is made in temperature-controlled stainless steel vats without the use of any oak. Other famous regions which produce wines named after them include Poully-Fumé (Sav Blanc), Vouvray (Chenin Blanc) and Chinon (Cabernet Franc). It’s common to find French wines in the shop that are named after these regions rather than the grapes they are produced from. 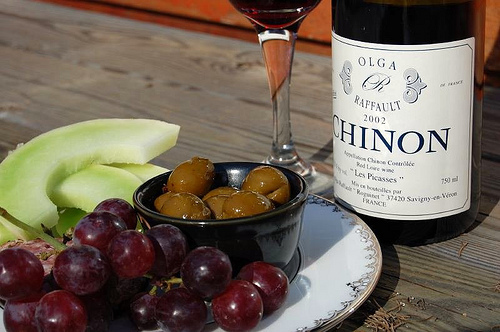 Wines made from Chinon wines are almost all red wines made from Cabernet Franc grapes; very small amounts of rose are also produced. Although Vouvray wines are always white and made from Chenin Blanc, a range of styles can be found. These range from sparkling and semi-sparkling to dry and lusciously sweet. The northern Rhône is most associated with powerful red wines made from Syrah. These are deeply coloured wines with high levels of tannin and black fruit flavours. Famous wine-producing districts include tiny Hermitage, which produces full-bodied red wines that age extremely well (the best wines can last for 50 years plus). Although only red wines are produced in the most northerly district of Côte-Rôtie (“roasted slope”), some co-fermentation is done with white Viognier grapes. This process involves extracting tannins from the Viognier grape skins. Up to 20% Viognier can be added to the final blend, resulting in wines that are deeply-coloured, full-bodied and spicy, and which have an aromatic and floral freshness from the Viognier. Although only a small amount of white wine is produced in northern Rhône, its reputation has benefited from recent growth in the popularity of Viognier. The two other white grape varieties of the northern Rhône, Marsanne and Roussanne, are used both as blending partners and, in some places, in the production of standalone varietals. As blending partners, Marsanne adds richness and weight while Roussanne provides acidity and perfumed fruit characteristics. In contrast to the northern Rhône, where wines are made from just one or two varieties, southern Rhône wines are often complex blends, with wines, in some cases, containing a dozen or more different grape varieties. The southern Rhône region is Châteauneuf-du-Pape country, as well as the home of GSM blends (not a mobile phone service but red wines containing a blend of Grenache, Syrah and Mourvèdre). 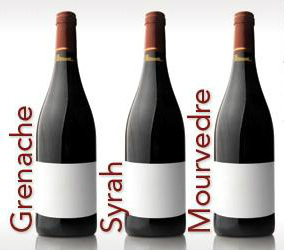 With its bold spicy flavours, Grenache dominates most of the red wines of the southern Rhône. Other red grapes such as Syrah, Mourvèdre and Cinsaut, play an important supporting role to Grenache. The styles of the wines produced in this region vary from light to medium-bodied fresh, fruity wines with low tannins (styles typical of many Côte du Rhône blends) to full-bodied reds with high tannins and complex flavours. Although white wine production is less significant in scale, better winemaking techniques have improved the quality of these wines, the best of which are full-bodied and rich in texture. The largest of the Rhône valley classification districts, Châteauneuf-du-Pape, produces wines that can be made from a blend of up to 13 different grape varieties. As elsewhere in the southern Rhône, Grenache dominates, and it is possible to have successful Châteauneufs that are made 100% from Grenache. Although red wines dominate production, small quantities of white Châteauneuf are also produced. Both red and white Châteauneufs can include a blend of two or more of the following red and white grape varieties: Bourboulenc, Cinsaut, Clairette, Counoise, Grenache, Mourvèdre, Muscardin, Picardan, Piquepoul, Roussanne, Syrah, Terret and Vaccarèse. Fermentation: An essential process in all wine production, fermentation can be expressed using the following formula: Grape sugar + yeast = alcohol + carbon dioxide. Although wild yeasts occur naturally on grape skins, pure yeast culture is added during the production process. Fermentation will stop when the following conditions exist: (i) all the sugar has been converted into alcohol by the yeast; (ii) if the temperature of the grape must is too high or too low; and (iii) when the alcohol level gets too high. Wood maturation: Wood is used to add complexity to a wine and is often responsible for giving a wine toasty, nutty, honey and vanilla flavours. It also helps to soften the tannins in a red wine and make them smoother/more rounded. Oak is the most frequently used type of wood. Most wine-producers have a preference for French and American oak, although Hungarian and "Yugoslavian" oak are also used. Premium red wines and some white wines (especially Chardonnay) tend to be aged in oak. Although the wine is commonly aged in oak barrels, sometimes oak staves or chips are added to the fermentation vats. Most of the wines produced in Bordeaux are blends of different grape varieties. In the Médoc, the main blending partners are Cabernet Sauvignon and Merlot, with smaller quantities of Cabernet Franc, Petit Verdot, Malbec and Carménère occasionally being used. Around Saint Emilion, the blending partners are Merlot and Cabernet Franc, with Merlot tending to be the dominant partner. Meanwhile, Bordeaux Blanc wines are typically blends of Sauvignon Blanc and Sémillon, with small quantities of Muscadelle sometimes included. In terms of volume, red wines account for 87% of the Bordeaux region’s total wine production. In order to maintain the quality of their top wine, most of the leading châteaux now make second, and even third, wines produced from wines not good enough for the top wine or ‘Grand Vin’. Top quality red Bordeaux is aged in small oak barriques of 225 litres. The top châteaux will often put all their wine into new oak casks. This represents a considerable investment. Less prestigious châteaux may use a smaller proportion of new casks while generic Bordeaux wines are unlikely to see oak at all. Although the amount of time spent in oak varies, the finest Bordeaux reds can spend anything up to 24 months in oak (15-18 months is typical). Dry white wines represent just 8% of total regional output. Dry white wine production methods have improved considerably in recent years with their quality benefitting from reduced sulphur usage and from the introduction of stainless steel vats and temperature control for making fresher “fruit-forward” styles of wine. Premium dry whites from Pessac-Léognan are frequently fermented and matured in oak barrels and have a richness and concreted nutty flavour overlaying the fruit. The sweet white wines of Sauternes are made from grapes picked specifically because they have been infected by Botrytis cinerea (“noble rot”). Sauternes wines are fermented and matured in new oak barrels for anything up to three years.